Do some nonprofit organizations pay too much compensation? 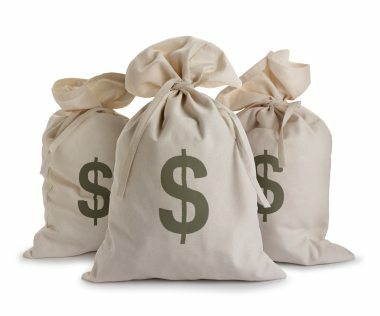 If recent news stories are any indication, the answer is an emphatic “yes.” Not a week goes by without reading about a nonprofit executive earning more than one would expect a “nonprofit” to be paying, especially one that relies on tax-deductible donations and government grants for support. Such news stories are generally critical of the generous compensation packages being paid and question the propriety of this practice. While this may be an issue at some of the larger nonprofits, the average organization struggles to meet its payroll obligations, even for the modest salaries it pays. Current law imposes restrictions on the amount of compensation a nonprofit organization may pay its employees. Moreover, even providing modest compensation without following certain procedures may violate tax rules that can trigger a large additional tax to be imposed on the employee who receives such compensation and the organization managers who approve the conduct. In extreme cases, an organization’s compensation practices may result in the revocation of its federal tax exemption. The vigilant organization should take note since many of these rules are not necessarily intuitive and present a trap for the unwary. This article seeks to summarize these rules in a concise and easy to understand fashion. Much detail has been omitted, thus, specific legal advice should be obtained prior to implementation. It is important to note that even should an organization comply with these rules, it may not be enough to fend off the scorn of the media, which may have its own ideas of what nonprofit executives ought to be paid. Such media attention can have a profound impact on public perception, which can negatively affect the attitudes of current and potential donors. I flag that issue but leave it for others while I concentrate on the law. The place to begin is with what is often referred to as “private inurement.” This phrase comes from the Internal Revenue Code, which requires from all §501(c)(3) tax-exempt organizations that “no part of net earnings of which inures to the benefit of any private shareholder or individual.” An organization violates the restriction on private inurement when it gives any benefit to an organization insider other than in the form of reasonable compensation. Let’s explore what this means in more detail. Who is an insider? The regulations state: “It is necessary for an organization to establish that it is not organized or operated for the benefit of private interests such as designated individuals, the creator or his family, shareholders of the organization, or persons controlled, directly or indirectly, by such private interests.” This would include any individual who has a special relationship to the organization, people that have influence or control over the organization, and people with check writing ability and financial control. The organization has to be concerned with much more than simply providing cash or assets to these individuals. Other benefits are also included, such as extending to the insider a below market loan, purchasing an item from the insider for more than fair-market value or providing office or living space for below market rent. Each of these can constitute private inurement unless it is provided as part of the employee’s compensation package, the package is documented as compensation for tax purposes and the package as a whole is reasonable. That said, what is reasonable? With respect to the rules surrounding private inurement, there is little guidance regarding what constitutes reasonableness. It is generally a fact specific analysis. This has contributed to the Internal Revenue Service ignoring smaller violations of this rule. Although the Code does not permit any private inurement and technically any amount of inurement can lead to sanctions, in practice, the IRS doesn’t enforce violations of private inurement unless they are so egregious that the organization is no longer acting “charitable” in the interest of the public, but rather as a “piggy bank” for some private individuals. Only in those situations will the one and only sanction the IRS has available in inurement situations be enforced – the ultimate sanction – revocation of the organization’s tax-exempt status. The fact that in practice de minimusviolations are generally ignored has led to the adoption of a set of detailed rules called “excess benefit transactions.” These rules are also known as “intermediate sanctions” since they provide for penalties that are intermediate, i.e. short of revocation of exemption. It is important to note that these rules are an additional layer added on top of the original private inurement rules. Revocation is, thus, still a possibility and will be imposed in the more extreme cases. What is an excess benefit transaction (EBT)? There is some overlap with the rules for private inurement but the rules differ in many respects and, in general, the rules of EBTs are much more detailed and deliberate (as you will soon come to realize). The tax Code provides in §4958 that an EBT is “any transaction in which an economic benefit is provided by an applicable tax-exempt organization directly or indirectly to or for the use of any disqualified person if the value of the economic benefit provided exceeds the value of the consideration (including the performance of services) received for providing such benefit.” The gist of this is that if certain benefits are provided to a “disqualified person,” unless they are given as reasonable compensation and documented as such, sanctions will result to the disqualified person as well as to knowing and willful managers of the organization. There are many elements here, so let’s take each one in turn. The first element in the rule is that the benefit must come from an “applicable tax exempt organization.” This includes any §501(c)(3) and (c)(4) organization that was such at the time of the transaction or any time within the five years prior to the transaction. Private foundations are not included. Although churches need not formally apply for §501(c)(3) status from the IRS, they are deemed to be §501(c)(3) organizations without formally filing. Thus, they are too considered applicable tax-exempt organizations and included within these provisions. There is also no exemption for religious organizations. The benefit has to be given to a “disqualified person” (DQP). This includes a broad range of organization heads including officers, directors, trustees, president of the organization, CEO, CFO, COO and their family members (spouse, ancestors, children, grandchildren, great grandchildren, siblings, and any of these family members’ spouses). But titles are not important – so long as the person is (or was within the prior five years) in a position to exercise substantial influence over the organization, the person is a DQP. Even in situations where the person is not in charge of the entire organization, but merely manages a discrete segment or activity of the organization, he would be included. This would include a basketball coach of a university basketball team, a university dean, and a department head at a nonprofit hospital. There may be some people who fall within a gray area and so advice should be sought to identify whether one is a DQP. There are some important exceptions – the following will not be DQPs: Other §501(c)(3) or (c)(4) organizations, so transactions between organizations are not covered by these rules; an independent contractor who collects a fee but doesn’t have decision-making authority over the organization – so transactions with a building contractor, attorney, accountant or investment advisor would generally not be covered; someone who is negotiating to join the organization for the first time and agrees to a binding contract with a fixed payment would fall within the “initial contract exception.” Additionally, an employee who doesn’t otherwise possess substantial control over the organization, is not a family member of one, and earns overall compensation (including benefits) of $110,000 (which adjusts for inflation) or less per year, is deemed not to be a DQP. Next, what may be given and not run afoul of these rules? The answer is reasonable compensation. This leaves us with two questions: what is reasonableand what is compensation? So let’s first deal with what is included in compensation so that we can later determine whether the overall compensation package is reasonable. What is included in the compensation package? Payments (and most economic benefits) coming from the organization constitute compensation so long as they are classified as such on the books of the organization and for tax purposes to the employee. If taxable, this can be accomplished by including the payment on the employee’s form W-2. It is important to note that if the required substantiation is lacking, even if the parties meant for it to be compensation and even if the overall compensation package including this unsubstantiated payment was in fact reasonable, it will automatically be deemed an EBT and the sanctions will kick in (we will soon describe what those sanctions are). Reasonable travel expenses paid by the organization for the DQP (which includes board members) need not be considered compensation; however, if the spouse’s travel expenses are also covered, that would be compensation to the DQP. It too would need to be documented as such to avoid being classified as an EBT. Certain benefits can be disregarded such as those fringe benefits excluded from income tax under §132, reimbursed expenses, benefits provided to a volunteer that are otherwise available to any member of the organization, and benefits provided solely as a member of a charitable class that the organization intends to benefit in furtherance of its exempt purposes. Is the compensation package reasonable? Once we have determined what is included in the DQP’s compensation package, we can then seek to determine whether it is reasonable. Reasonableness is determined by comparing the compensation to what would ordinarily be paid for like services by a like enterprise under like circumstances. A comparison must be drawn between the DQP’s entire compensation package with similarly situated people. This is a facts and circumstances analysis and must be determined on an individual basis. One important note is that there is no requirement that nonprofit employees be paid less than their for-profit counterparts. It is understood and accepted that nonprofits require talented employees and such employees do not deserve less simply because they work for a nonprofit. Thus, in making this determination, comparisons can be made to similarly situated individuals in both the non-profit as well as the for-profit sector. What are the additional taxes due? Assuming we have an applicable tax-exempt organization that gives an excess benefit to a DQP – what now? The DQP will have to pay a 25 percent tax on the excess benefit. That amount goes up to 200 percent unless the DQP returns the benefit to the organization and “undoes” the transaction within a specified time period. Organization managers who knew about the excess benefit and willfully permitted the organization to engage in it are also subject to a tax of 10 percent (capped at $20,000 for any single transaction) and if more than one manager is responsible, each may be jointly liable for the tax. Managers may escape liability if they had “reasonable cause,” which usually means that they relied on a legal opinion; in these circumstances, the opinion would likely have to opine on the process the organization conducted in concluding that the compensation was reasonable or otherwise qualified for the safe harbor. The extra tax is to be paid to the IRS and the organization must file IRS Form 4720, Schedule I (see instructions to the form for details regarding how and when to file). Should the organization delay or fail to file and pay this tax, penalties and interest will be imposed. Director and officer (D&O) insurance may cover the tax, however whatever is paid out as the tax must be considered additional compensation to the DQP. In addition, the organization must disclose in its annual form 990 filing the names of each DQP who received an excess benefit during the year. Let’s say the organization squanders money on paying an outside contractor an exorbitant fee. We have already seen that an outside contractor will generally not be a DQP (either because it does not have decision-making authority or because it qualifies for the “initial contract exception”), so this will not be an EBT. Nor will it constitute private inurement as the contractor is not an organization insider. So is there any possible sanction? The answer, unfortunately, is yes. There is yet a third layer of restrictions called “private benefit transaction.” This includes everyone, insiders as well as outsiders. Like private inurement, the only sanction is the ultimate sanction, revocation of the organization’s exempt status, but unlike private inurement, will only kick in if the violation was substantial (though, as mentioned, in practice, neither of them are generally enforced unless extreme). In addition to the IRS acting as regulator of charities, each state’s attorney general also investigates violations committed by nonprofits (in New York, this is done by the Charities Bureau of the New York state attorney general). It is therefore important to keep in mind that should an organization engage in the kinds of transactions described above, even should it escape the technical IRS rules and avoid IRS sanctions, the state attorney general may launch its own investigation for possible breaches of the organization’s board/managers’ duties of care and loyalty. Although there is much talk about nonprofit salaries that seem excessive, the propriety of this practice rests on whether they are indeed reasonable under the circumstances. Reasonableness is a fact specific determination based on all of the specific facts and circumstances. To aid the organization, should it follow certain procedures, it may qualify within a rebuttable presumption of reasonableness. In any case, nonprofits may only pay reasonable compensation that is documented as such with proper substantiation. Thus, even if clearly reasonable, the organization must be certain to properly document its compensation. The rules surrounding benefits and compensation provided by exempt organizations are numerous and complicated and lend themselves to mistakes. This article merely seeks to alert the reader to the applicable issues. Specific legal advice should be obtained to help guide your organization. Judah I. Kupfer, Esq. is a staff counsel at Agudath Israel of America. He received his B.A. from Touro College, J.D. from Brooklyn Law School and LL.M. in taxation from New York University School of Law. To contact the author, please email [email protected]Questions and comments are welcome. With gratitude to Jacob I. Friedman, Esq. of Proskauer Rose LLP for his review and comments. This article is provided for general information and educational purposes. Neither its distribution to any party nor any statement or information it contains is intended to or shall be construed as establishing an attorney-client relationship or to constitute legal advice. Readers also are cautioned that the information in this article may not apply to all situations. Consequently, readers must not rely upon this article or information it contains as a substitute for competent individualized legal advice about the specific circumstances of the readers. Attorney advertising, prior results do not guarantee a similar outcome. IRS Circular 230 Disclosure: To ensure compliance with requirements imposed by the IRS, we inform you that any U.S. federal tax advice contained in this document is not intended or written to be used, and cannot be used, for the purpose of (i) avoiding penalties under the Internal Revenue Code, or (ii) promoting, marketing, or recommending to another party any transaction or matter that is contained in this document. Judah I. Kupfer, Esq. is a staff counsel at Agudath Israel of America. He received his B.A. from Touro College, J.D. from Brooklyn Law School and LL.M. in taxation from New York University School of Law.